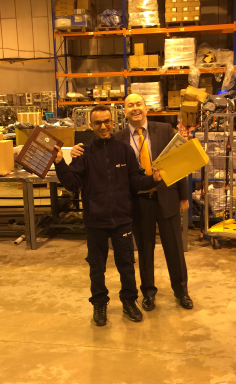 Our final employee of the quarter winner for 2016 is.....MOHSIN WAQAS!!! Everyone at OCS would like to say a massive congratulations & thank you to Mohsin for his dedication & hard work he continues to show day in & day out to not only the compliance department but the whole OCS team, a very deserving winner. We hope he enjoys his £500 BONUS!